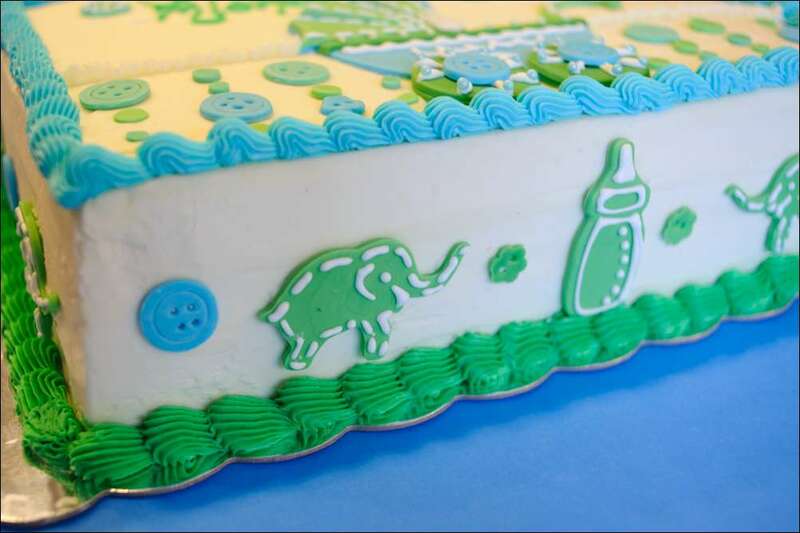 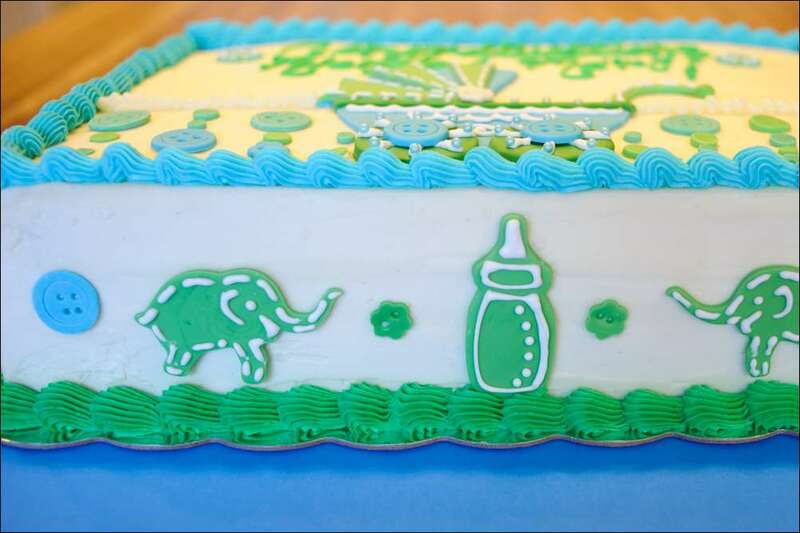 A baby shower cake inspired by buggies, bottles, buttons…and elephants! 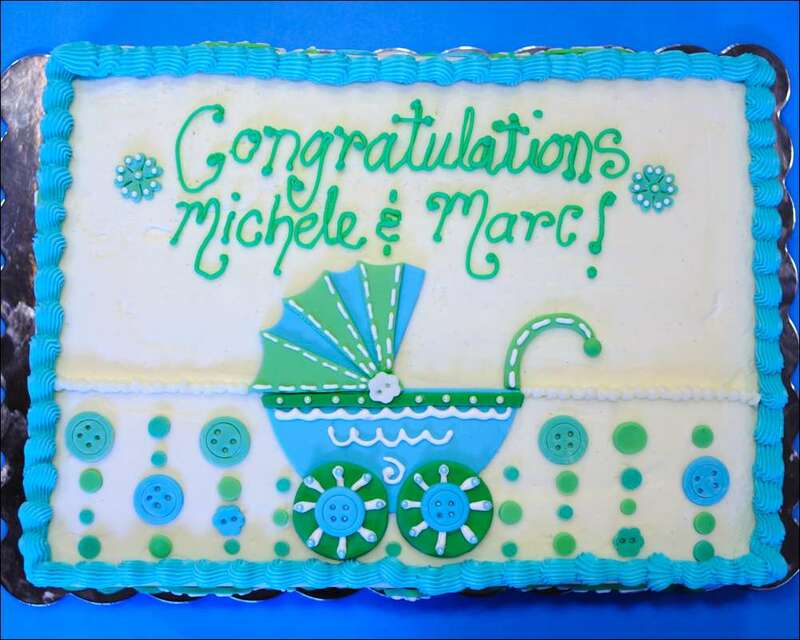 This is a 2-layer half sheet cake (double chocolate and white almond sour cream) filled with decadent raspberry mousse and frosted with creamy Swiss meringue buttercream. 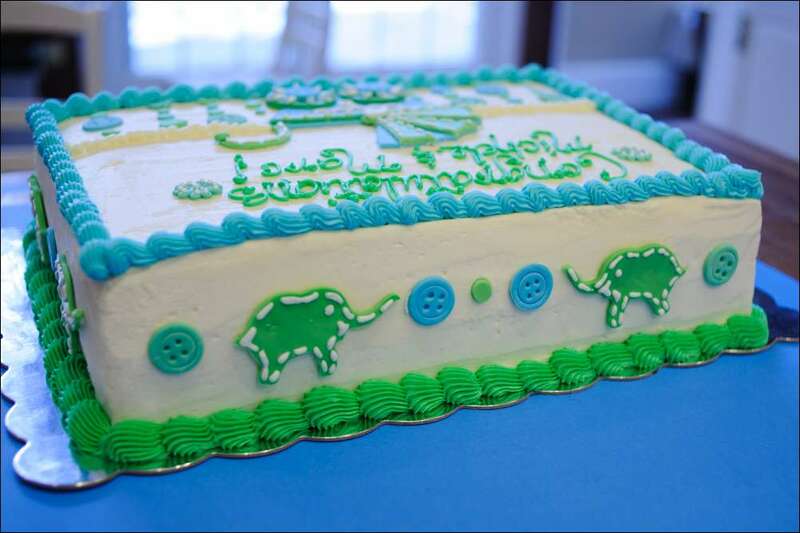 The buggy and decorations are cut from homemade marshmallow fondant. 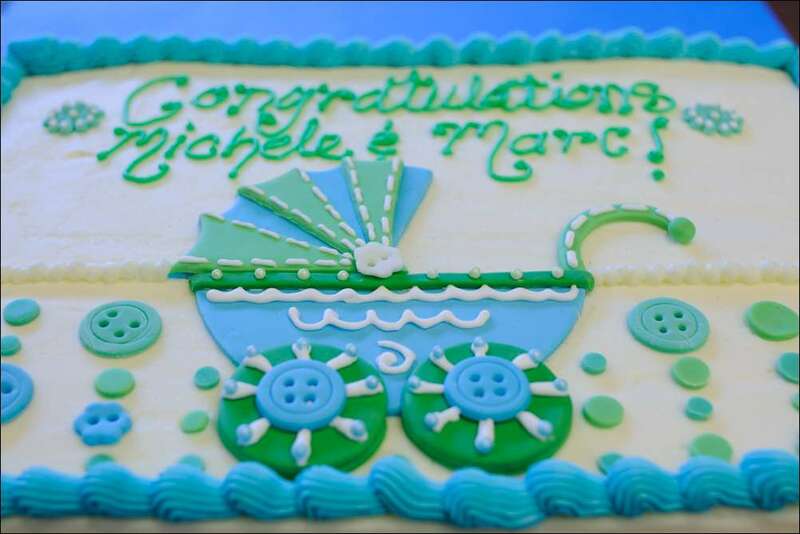 My inspiration for the buggy design was CorrieCakes and the buttons from Sprinkle Bakes “Buttons Birthday Cake” (very creative!). 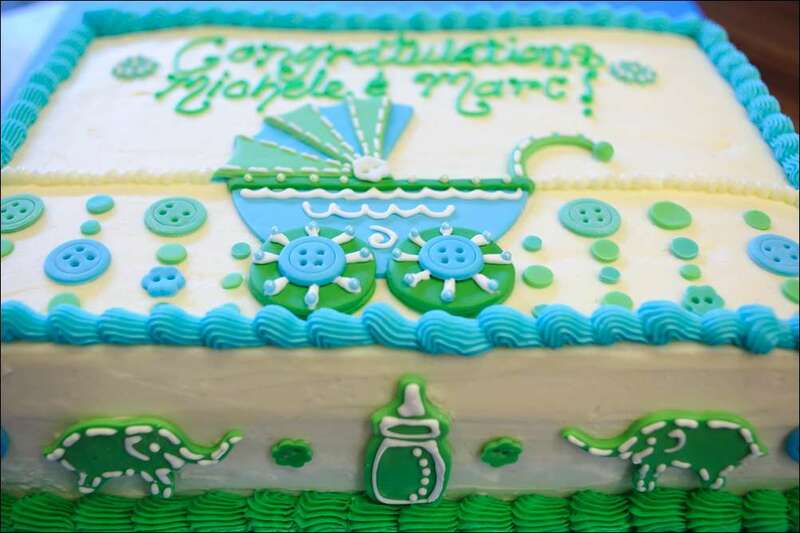 A sweet celebration for the expectant couple!